Elvis clearly had not met any Hounds from Orphans of the Storm® when he first sang, “You ain’t nothin’ but a hound dog.” There ain’t nothin’ BETTER than the hound dogs available for adoption at the shelter! 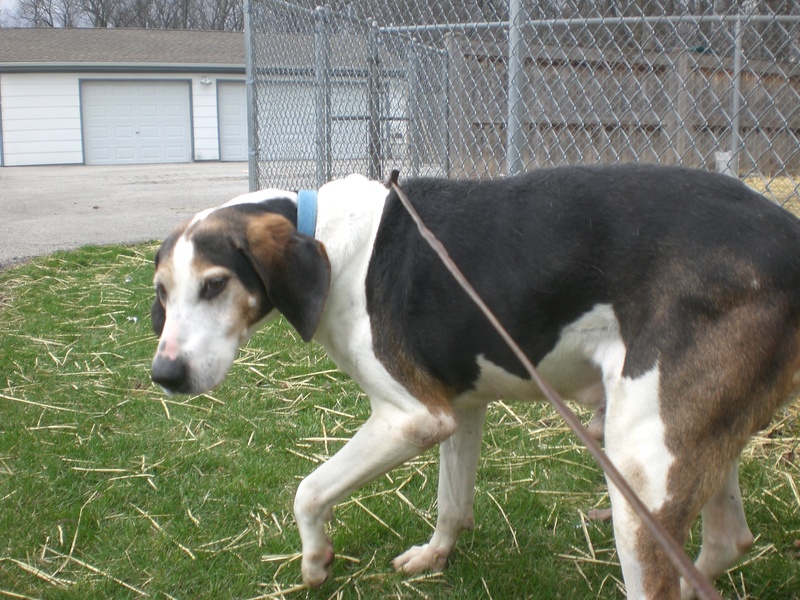 Jasper the two-year-old Hound mix is a big boy, but a gentle soul. Jasper gets along with everybody, human and dog alike. When we were on our walk, he kept wanting to say hello to all of the other dogs who were outside with other people. He used to have a Beagle for a kennelmate who has since been adopted, and now Jasper is waiting for his turn to find a forever home. Jasper is a pretty good walking buddy, although being a Hound, he will follow his nose wherever it leads him. We went to all corners of the shelter’s outdoor area in search of a good scent. When he’s not hot on the trail, he’s convinced that he can fit in your lap, even though in reality he can only fit his front legs on top of yours. 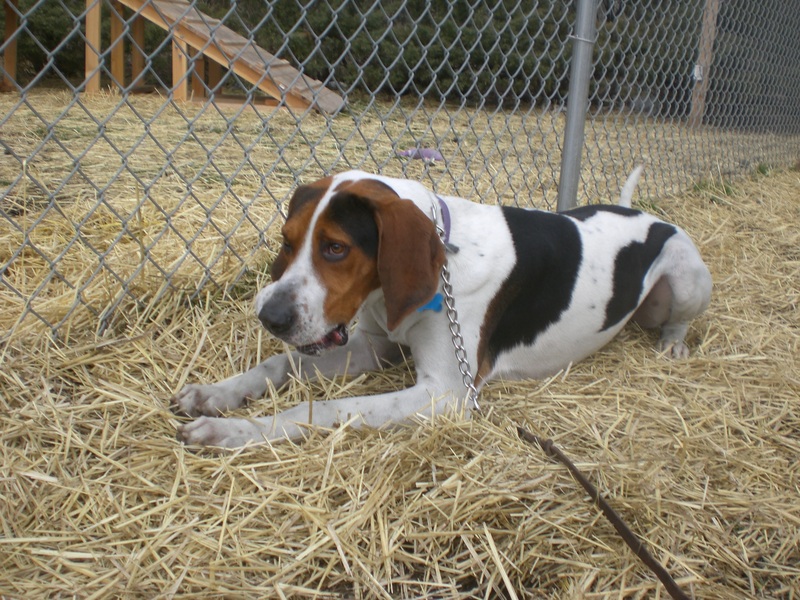 Is Jasper the hound dog for you? Jasper, you aren’t supposed to blink! I first took out Eever the five-year-old Hound mix almost exactly one year ago. What is this great guy still doing at the shelter? I will admit that he’s pretty strong, but only when he first gets out of his kennel and before he has the opportunity to run off his energy. A dog like Eever is bred to be out hunting in the woods for hours, so of course he needs his exercise! 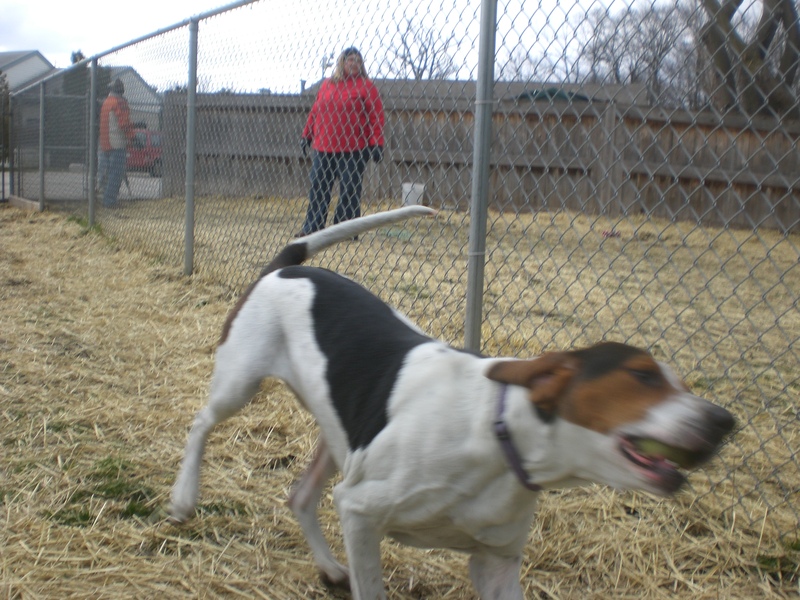 Eever is, I think, the first hound I’ve met who actually enjoys playing fetch. As soon as he got out of his kennel, he stuck his nose in a bush and produced a tennis ball. When we got to the off-leash run, he was thrilled to run around and chase after the ball. Once he had had enough of running, he plopped down and chewed on it. When it was time to go back inside, the poor pooch didn’t even want to give up his tennis ball. We had to exchange him for a treat! Eever would make a fun, lovable companion for a family who can keep up with his energy. 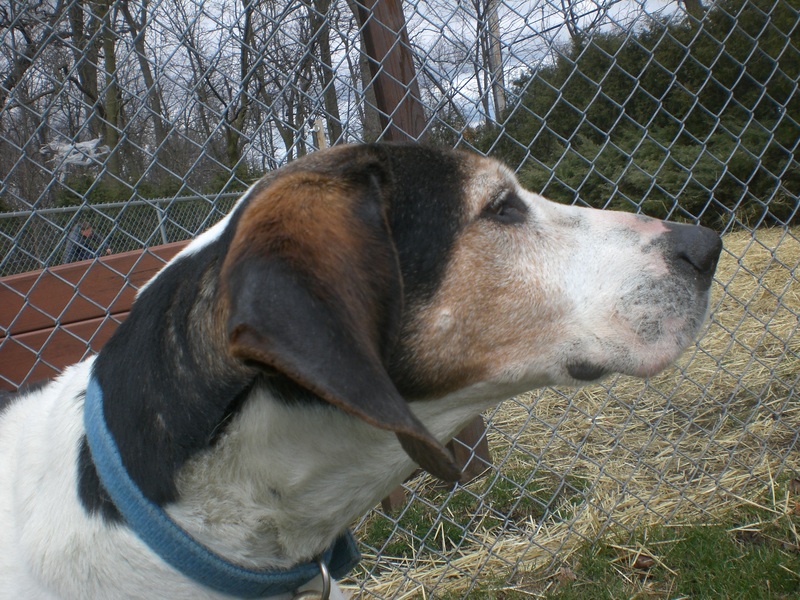 Prowler the seven-year-old Treeing Walker Coonhound mix is such a sweetheart. You will usually find him curled up on his bed when you walk through his wing inside the shelter, but he was plenty happy to get up and go for a walk when he saw me with a leash. Since he’s an older guy, he doesn’t need nearly as much exercise as Eever, but still appreciates a nice stroll. Prowler (who is listed as Pierce on the website, but they’re the same dog!) loves attention. He stood right next to me and enjoyed getting scratched on the back, ears, and especially neck! Prowler does that cute back-leg-kick when you’ve found the right spot to itch. This boy just wants a comfy spot in a nice home where he can enjoy the love and care he deserves. Is that home with you? Look at Prowler’s sweet face! 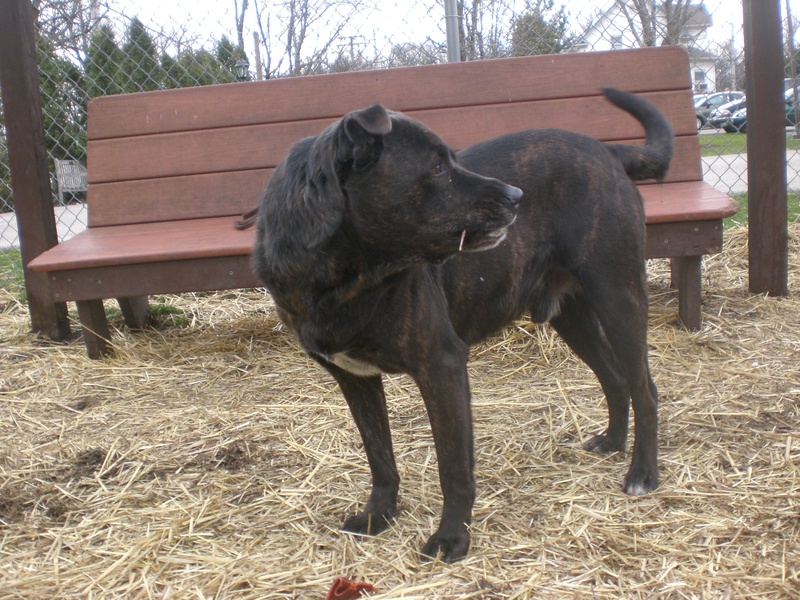 And last but not least, Toby the two-year-old Labrador Retriever/Shepherd mix doesn’t fall into the Hound group, but he’s looking for his new forever home too! Toby has, I think, more energy than any of the other dogs I’ve walked, so he definitely needs an energetic home–preferably one with a nice, big yard where he can play. 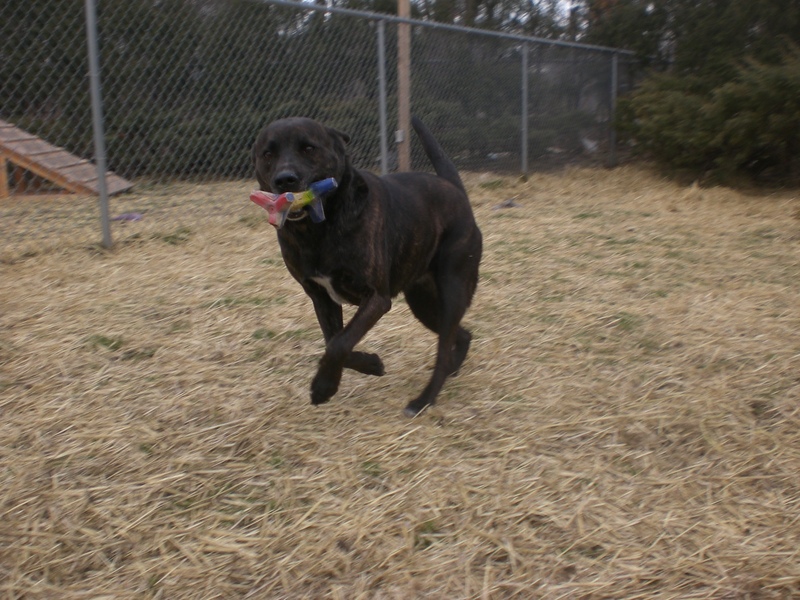 Like Eever, Toby loves to fetch, though he’s not nearly as particular about what toy he’s chasing after. If you throw something, Toby will retrieve it (as a Retriever mix should!). Toby‘s kennel is at the very end of the wing, and I sometimes think people don’t walk all the way down there. You should! If you don’t, you could accidentally miss finding the perfect pooch for you. (I think this may also be the case with Freckles and Buckeye, or Chopper.) Once Toby had run around for a while, he came and sat next to my feet while I sat on the bench and gave me a happy look that said, “Boy, this is fun!” Give Toby the chance to show you what a good boy he can be. I hope to see you on Monday at the Orphans of the Storm® Annual Benefit Dinner! 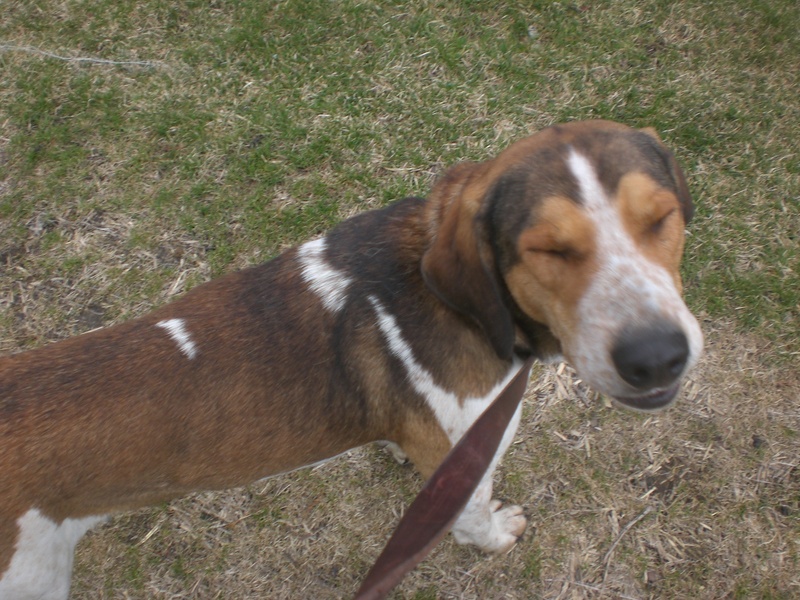 Posted by Meet the Pooches on April 18, 2013 in Dog Profiles and tagged adoption, animal shelter, animals, Chicago, dogs, Hound, Labrador Retriever, Orphans of the Storm, pets, Shepherd, Treeing Walker Coonhound. My next goal is to adopt a dog from an animal shelter!